Why does finishing a project make us so happy? 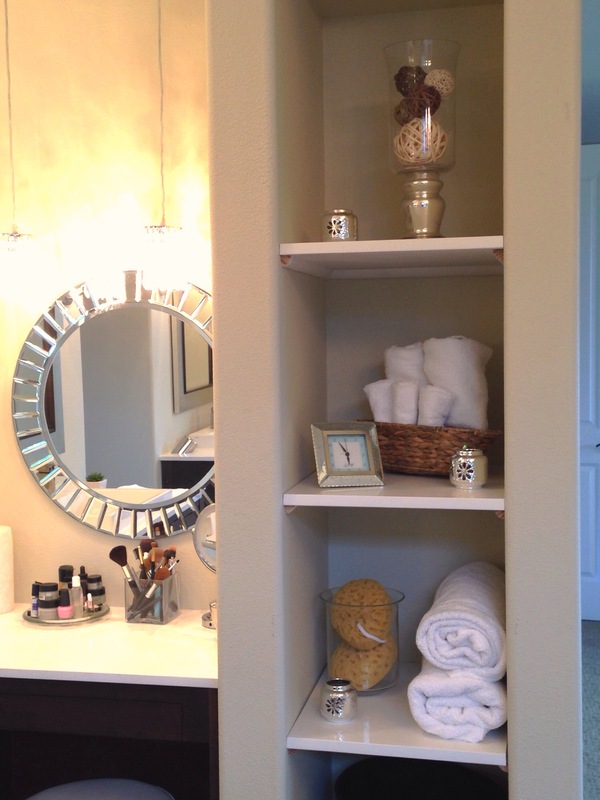 My hubby installed the nook shelves and trim in the master bathroom this weekend. 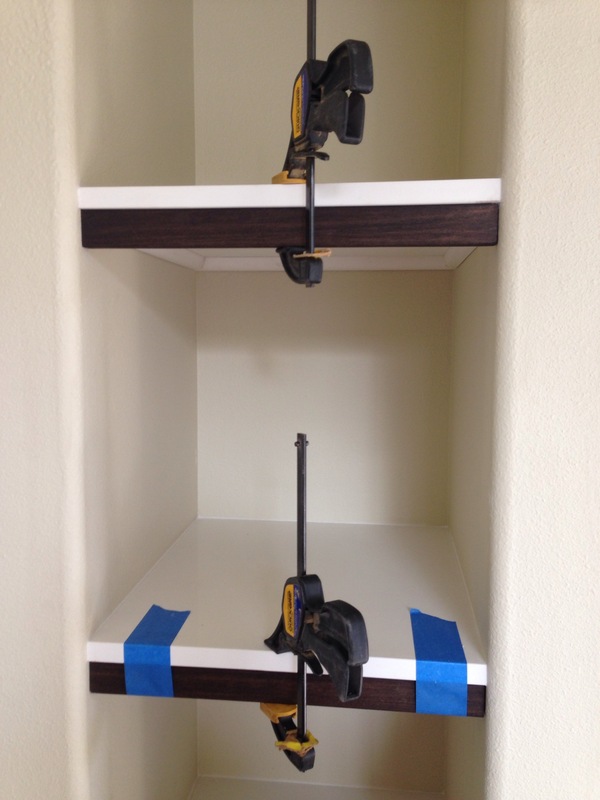 When our countertops were installed, I had three shelves cut out of the left over pieces. So, the hubs cut three pieces of primed shoe molding and nailed them under each shelf. He still wants to add left over pieces of walnut from the kitchen island as an apron across the front. These were my inspirations on Pinterest. 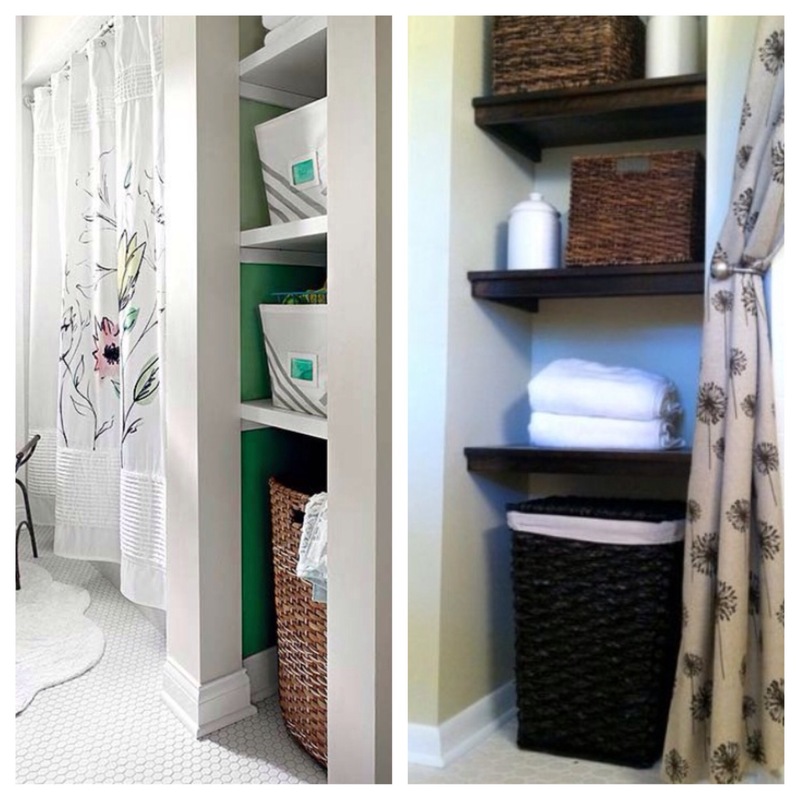 And here is what my master bath shelves look like now. 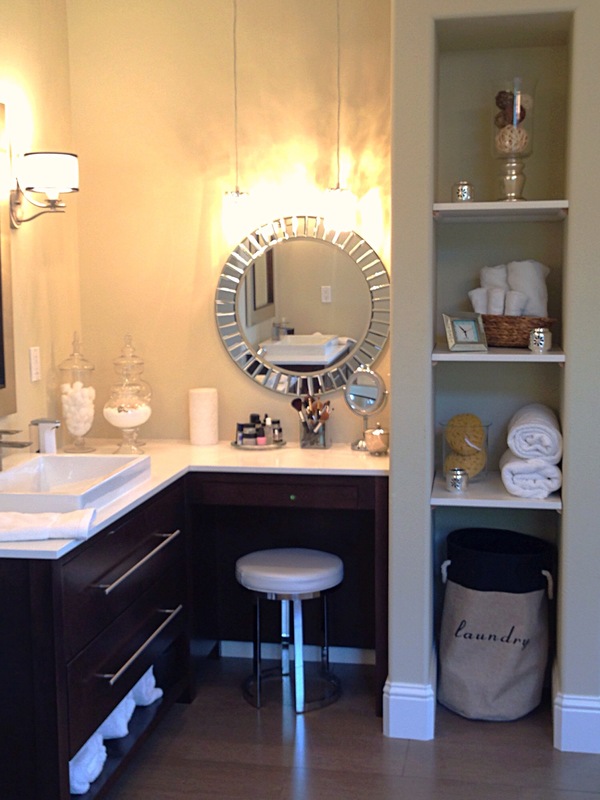 I think the walnut trim will really complete the look with the cabinetry. 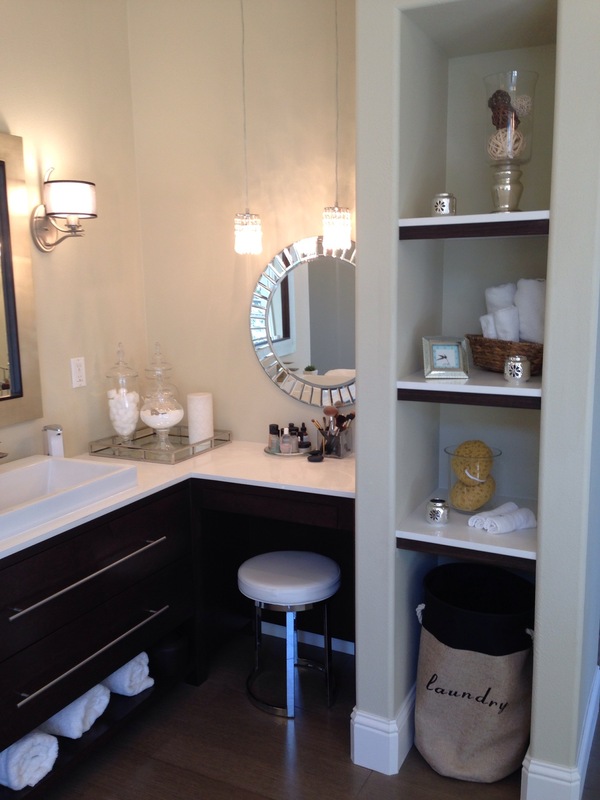 The hubs extraordinaire added the walnut trim to each shelf and it really does add architectural cohesion to the cabinets! I love it!